Installation Kits and Accessories – Canplas Industries Ltd.
Providing you with virtually everything you need for your central vacuum installation, Vaculine installation kits are available in several configurations and offer the utmost in convenience. 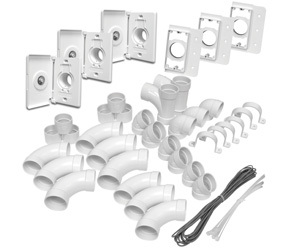 Kit including all required fittings for installation and 3 square door inlet valves. 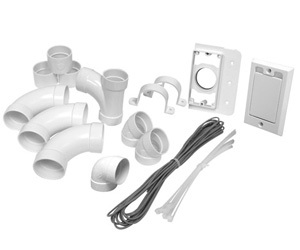 Kit including all required fittings for installation and 3 square door SuperValve inlet valves. 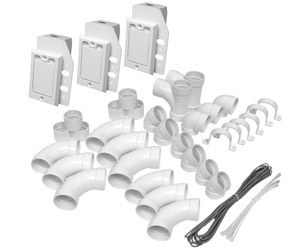 Kit including all required fittings for installation and 3 side-opening inlet valves. 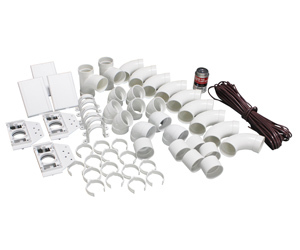 Kit including all required fittings for installation and 1 square door inlet valve.